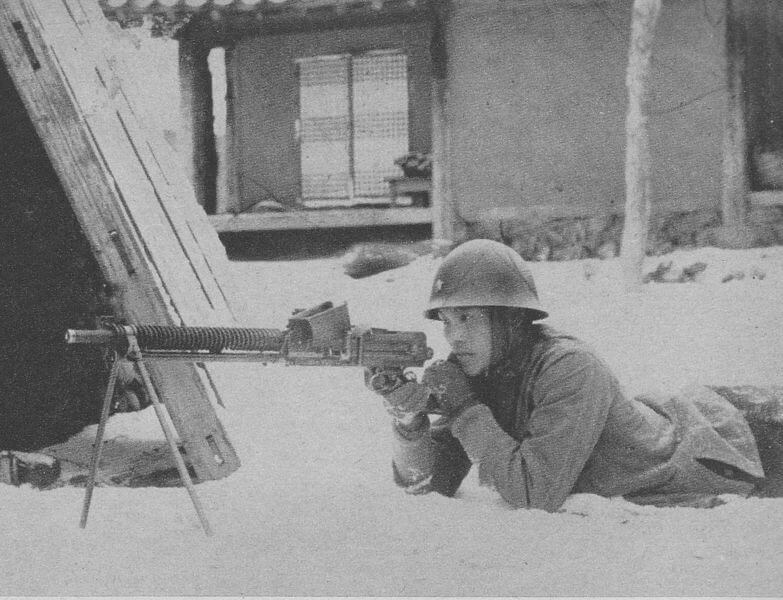 Notes Adopted as the IJAs first light machine gun, the type 11 was built by Nambu and had certain similarities to the Hotchkiss, namely the ribbed barrel. It had an unusual feed system which require five round clips to be dropped into a hopper, this held up to six clips and each round was oiled as it was fed into the chamber. This feed system was prone to collect dirt and grit which would jam the weapon while in use. It was issued to troops in 1922 and saw extensive service as a squad weapon until 1945.